Get up to 40% off on Nike, Adidas, New Balance, and more! 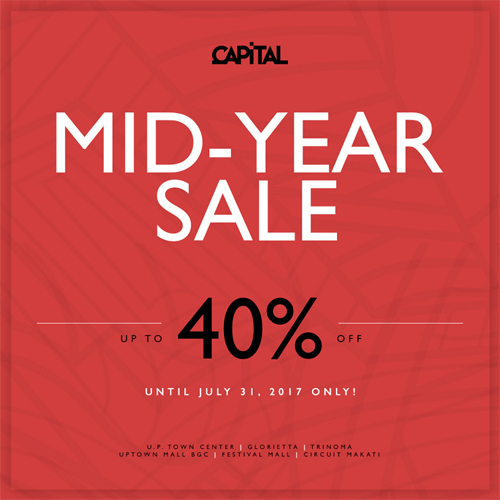 (SPOT.ph) It's looks like it's Christmas in July for sneakerheads because Capital is having a Mid-Year Sale until Monday, July 31—just in time for payday! 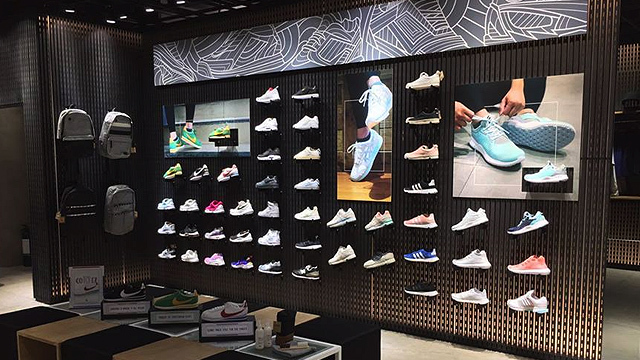 In case you didn't know, Capital is a retail concept store that carries sports and lifestyle footwear from some of the most sought-after brands in the sneaker world. Their goal is not just to sell sneakers, but also to bring sneakerheads together and have a place for them to lounge and talk about their shared passion. You can even ask their sales personnel about the history of a certain pair and they'd gladly tell you all about it! For their Mid-Year Sale, you can get discounts up to 40% off on select pairs from brands like Nike, Adidas, New Balance, Puma, and more. Just visit Capital branches in Trinoma, UP Town Center, Glorietta 4, Uptown BGC, Festival Mall, and Circuit Makati and get ready to go sneaker shopping—and maybe make new friends!